I only picked out 2 items from SheIn this time but thankfully both of them are love (see the first item here). Can you tell I have a thing for plaid? I love this skirt for Fall. It was made out of heavy faux suede fabric. Because of that it has a good weight and drapes beautifully. It's a myth that petite girls can't pull off midi skirts. The trick here is to keep your upper half fitted to help balancing out the prim factor of a midi. Happy Wednesday! Hi Sydney I love how the skirt and turtleneck fit! Very pretty! I love plaid!! That is a great skirt. So fun to have plaid in something besides a top. Glad you liked your items. 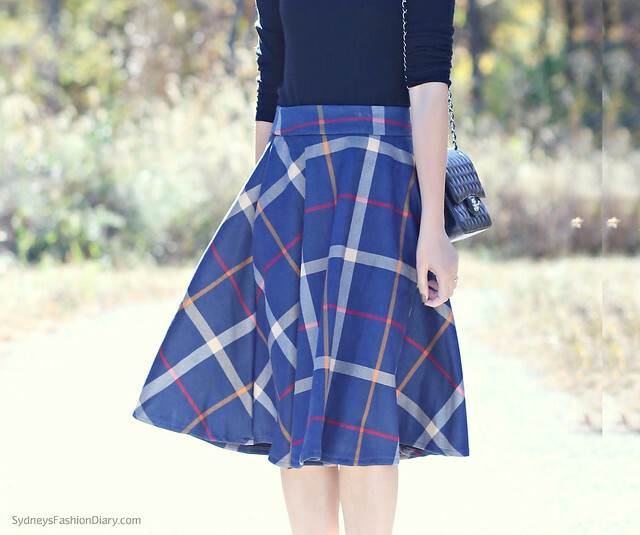 I love your plaid midi skirt! This is the perfect fall look! Glad you liked your items. This is the perfect fall look!